By day, award winning financial writer Christopher Carosa has been called an “embedded journalist.” Now well into his fourth decade in the investment and retirement industry, he is the President and Chairman of the Board of the Bullfinch Fund, a family of flexible no-load mutual funds. His funds are frequently ranked in the top ten nationally by Lipper and during the “lost decade” between 2000 and 2010 actually earned a positive return of nearly 50%. But it’s his evening job that offers the greatest excitement. 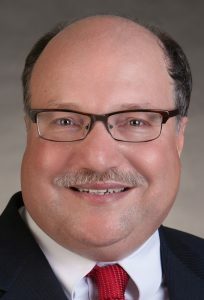 Chris is the Publisher of the Mendon-Honeoye Falls-Lima Sentinel, Chief Contributing Editor for FiduciaryNews.com, and a columnist and free-lance writer for various print and digital publications. Mr. Carosa earned his undergraduate degree in Physics and Astronomy from Yale University and MBA from the Simon Business School. He has been designated a Certified Trust and Financial Adviser by the Institute of Certified Bankers. Chris is the author of 6 books, a stage play, and has been interviewed and quoted in such major media outlets as The Wall Street Journal, The New York Times, USA Today, Barron’s, CNBC, Fox Business News, and the NBC Nightly News.